Bali Rafting and Elephant Ride Tour is Double sensation of adventure activity on the island of Bali, here you will try two adventure all in one day, the first adventure wading in the Ayung River rafting activities and continued to ride an elephant in the village Bakas for 30 minutes. Adventure that gives the impression that more during your vacation in Bali and for sure will make your holiday to be enjoyable. 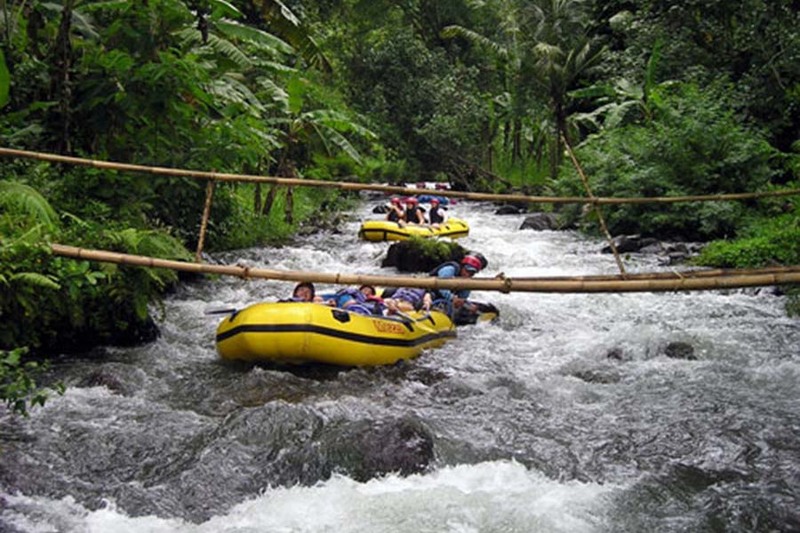 The first adventure begins by trying to flow in the river Ayung river and enjoy the atmosphere during the rafting. After the rafting is finished you will enjoy lunch at the rafting place, after lunch you will be escorted by our driver to the elephant park at Bakas village, here you will ride the biggest mammals for 30 minutes and see the beautiful view from the top of an elephant. A very impressive, after ride the elephant is completed, you will be transferred back to the hotel by our driver with bring a memorable memories during this double adventure program of rafting and elephant ride tour.